3. Write 11 facts about yourself. 4. 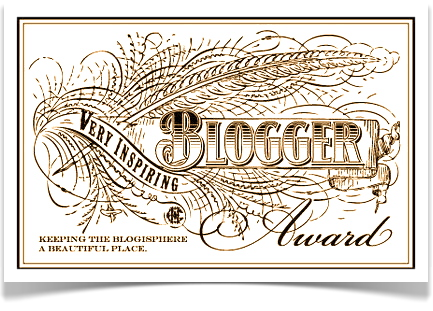 Nominate bloggers who you feel deserve this award and who have less than 500 followers. 1. I love staying in hotels. 3. I eat Nutella straight from the jar. 4. I haven't properly read a book in about 2 years. 6. At school my favourite lesson was Art. 7. At college I hated Art. 9. I was a bit of a tomboy when I was younger. 10.If I could get a dog I think I would choose a Beagle. 11. I wish I could do ballet! For the sake of saving everyone the boredom of scrolling through 44 questions, I'll answer 3 from each blogger. 1. If you could marry one celebrity, who would it be? 2. If could master one dish, what would it be? 3. Who has inspired you and why? Cara Delevingne. She's just so zany she reminds me to be myself. 4. How important is “original content” to you? In terms of photography, very. I never post photographs that I haven't taken myself unless it is essential to the content of my post. 5. Do you write regular features to keep yourself motivated? I've just started doing Inspiration Wednesday! 6. What would be your last meal? I can't think of a more morbid dilemma! No idea, sorry! 7. If you were to be one Disney princess, who would you be and why? Elsa - only because I think she's the one I look most like. 8. If you were only allowed to choose between blush and lip colour, which would you choose? 9. Where would you most like to travel to either home or abroad? 11. What is one thing you like to do "the old-fashioned way"? 12. Name your favorite YouTube channel(s). 1. If you could only use three make-up products every day, which would they be? 2. What is your most played song on iTunes? 3. What is your favourite item of clothing to go to when you need comfort? 5. When it comes to your blog if you had to choose between great content or great photographs which would be your priority? 7. What is your least favourite TV show? 9. Your favourite healthy meal? 10. Your favourite Disney film? 11. One thing you are proud of?